There are reports that in the end credits of The Amazing Spider-Man 2, The X-Men will appear more specifically, Mystique, Havok, Toad, and Stryker. These reports are coming from the ecstatic movie goers in the UK, where the film is out right now. As it’s become a standard in Marvel movies for the audience to stay until the end credits or until the ushers tell you to get the hell out. “The movie is over!” “Go Home, You Idiots!” Not a good experience. For the hopes of getting a hint of the sequel or an upcoming crossover. Ever since Marvel Studios did it to build the Avengers, every superhero movie I go to now, I stay until the end credits: Amazing Spider-Man, The Wolverine, Man of Steel, Captain America: The Winter Solider. But here is the thing, I was excited but then here comes the truth, Spider-Man and the X-Men will not be teaming up in the movies or Spider-Man will not be joining the X-Men to overcompensate the whole “Not being in Avengers 2 and 3” thing. But one would ask why the scene there is in the first place? Well for one, it’s for marketing. It’s to build more hype for X-Men: Days of Future’s Past and nothing more. Or, maybe Fox and Sony are planning to work together on something huge, who knows. 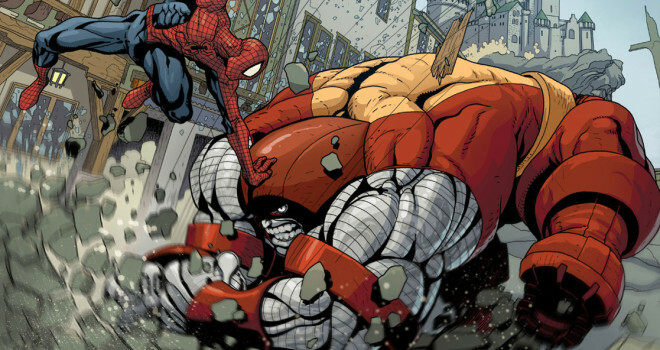 I’m cautiously optimistic about the whole thing Spider-Man teaming with the X-Men is not the most ridiculous thing ever as in the past; Spider-Man has teamed with the X-Men in the past on numerous occasions: Spider-Man and X-Men: Arcade’s Revenge, The X-Men appearing in The Spider-Man cartoon, that was huge when I was a kid, Spider-Man and his Amazing friends cartoon. Oh, yeah. The comics. The clip will appear the in U.S. release of The Amazing Spider-Man 2. The Amazing Spider-Man 2 will be released on May 2.